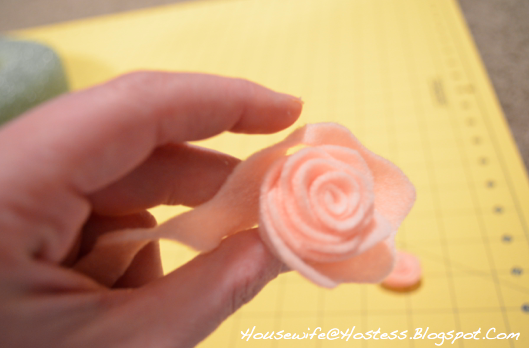 I am a big DIYer and when I see something crafty I like, I usually think “I could make that.” I have seen these adorable felt rosettes on pinterest, esty and in boutiques and here is my tutorial. I made them for my Easter wreath, but they would be adorable as headbands or hair pieces. First, cut out a cloud-like shape to start. 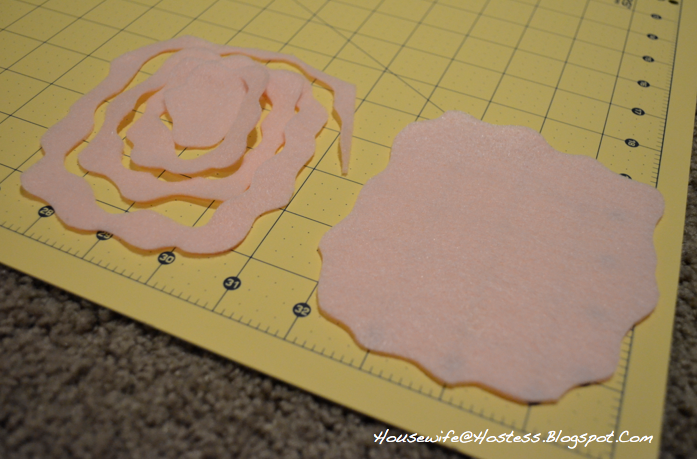 Then cut a wavy pattern that spirals towards the center. Leave a small patch in the very center, you’ll use that as the base of your flower. Starting at the outermost edge, use a small bit of the fabri-tac and begin rolling the felt. Continue rolling and glueing until it looks like a loverly rosette.